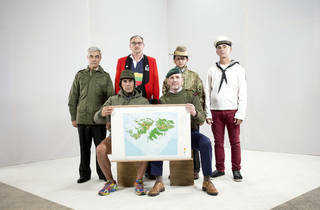 A moving, innovative look at the Falkland Islands conflict seen through the eyes of soldiers on both sides. This review is from 2016 when 'Minefield' ran at the Royal Court as part of LIFT 2016. It returns for 2017. The Falklands War isn’t taught in British schools. 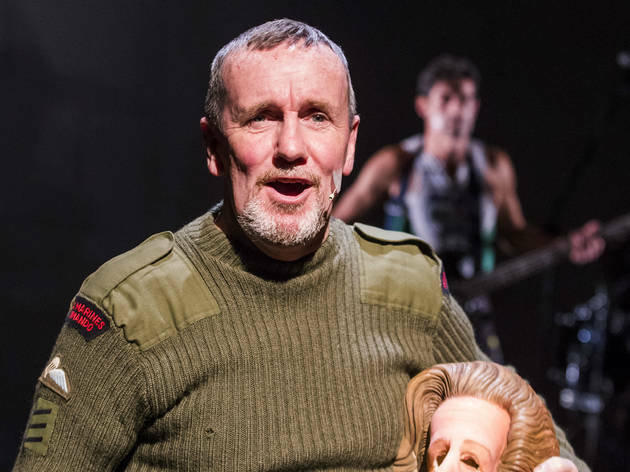 It’s never really made a splash at the cinema, either, barring a few mentions in films like ‘The Iron Lady’ and ‘This Is England’, and it’s certainly a rarity on stage. It means that outside of a few headline moments - the sinking of the Belgrano, Thatcher’s consolidation of power on a wave of patriotic fervour - its details are surprisingly shadowy for such a recent and politically significant conflict. 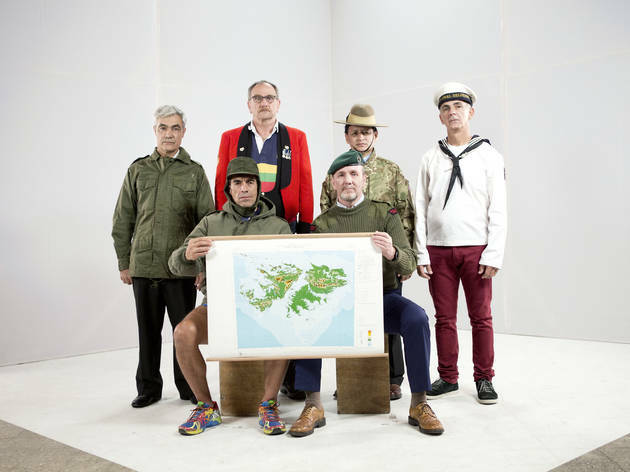 It’s an obscurity that’s utterly removed by the astonishingly moving, sensitive and humane ‘Minefield’, a collaboration between a group of six Falklands veterans and Buenos Aires-based writer and director Lola Arias. 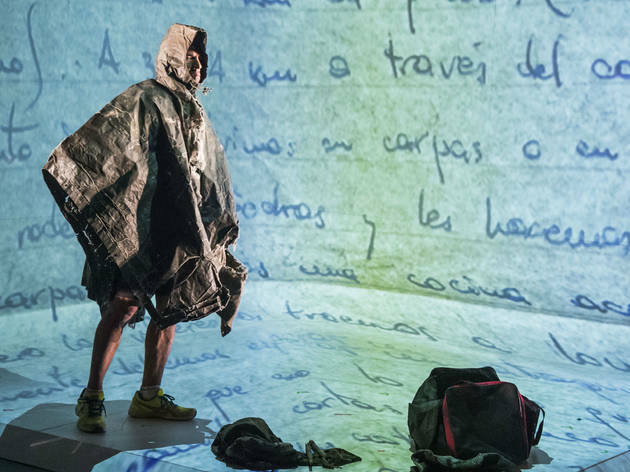 A conventional theatrical docudrama in form, complete with overhear projector, live foley sound and first-hand reportage, its raw proximity to the lives of those who lived and fought through the ‘Guerra de las Malvinas’ is heart-racing. Three Argentinian soldiers, two British and one Gurkha move through the conflict chronologically, from its first days through the horrors of trench warfare and bombardments, and into their post-war lives of therapy and reparation. 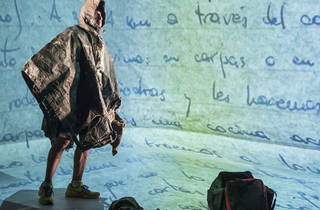 Their words are subtitled in Spanish and English alternately, ensuring a mutual comprehensibility which becomes the show’s entire tenor. Even-handed on issues of politics, it is a story of shared values, triumphs and pains. 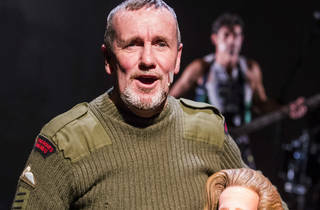 Most brilliantly of all, the show is soundtracked by a rag-tag five-piece performed by the veterans themselves. Like a pub covers band from a mine-pitted no-man’s land, it is a profoundly moving and eloquent encapsulation of this remarkable achievement of healing and compassion.